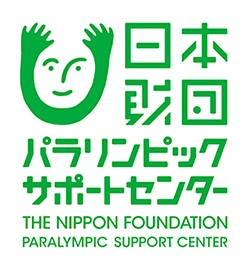 We are an independent organization specialized in the Paralympic swimming. With about 700 athletes with physical, visual as well as hearing impairment along with 70 voluntarily staff members, we work on developing the performance skills, organizing competitions and promoting the Para swimming. We designate athletes to be assigned for the intensive training as well as the developing course on January 1st every year. We help establishing the goal and grasp the condition of the training for each athlete as well as educate athletes by providing the opportunity for the athletes to learn about the training contents and to gain all other essential knowledge the para athletes should have. Our daily training location is the indoor swimming pool provided by the courtesy of Rikkyo University. The selection of the national team athletes is made through a competition held usually in March, and the selected athletes will participate in Para Games, Asian Para Games, World championships and/or other championships recognized by WPS as a member of the national team. Once the national team is established with the selected athletes, the team will start preparing for the major competitions by working through training camps and participating in various competitions overseas such as WPS World Series Competition.The main training location for the national team is at Japan Sport Council. We are expecting the new swimming pool to open in July 2019. The WPS recognized competitions are held 4 times a year beside 6 other regional competitions. At the major competitions, we welcome more than 500 athletes including those with intellectual impairment. The competitions are held under the WPS rules. The competitors include not only the internationally active athletes, but also those who are only active domestically. The IPC classification rule is applied to the domestically active athletes as well so that the competitions are held in fair manner. The main location for the training of the athlete of the next generation is Nara prefecture. A talent finding project (by the name of “J-STAR”) is under operation supported by the Japan Sport Association. We assign a manager in charge of finding new talent, and by measuring the physical capacity and the swimming skills mainly among the school children at the age of between 6 and 15, a few members are selected and will be trained separately for a year aiming to carry on to the developing course and the intensive training. In Japan, the Olympics and the Paralympics had been governed separately until Tokyo was chosen for 2020. Now both of them are governed by the Ministry of Sport, but the system of the intensive training for Paralympic athletes is not yet totally acknowledged as an important part of the whole structure. 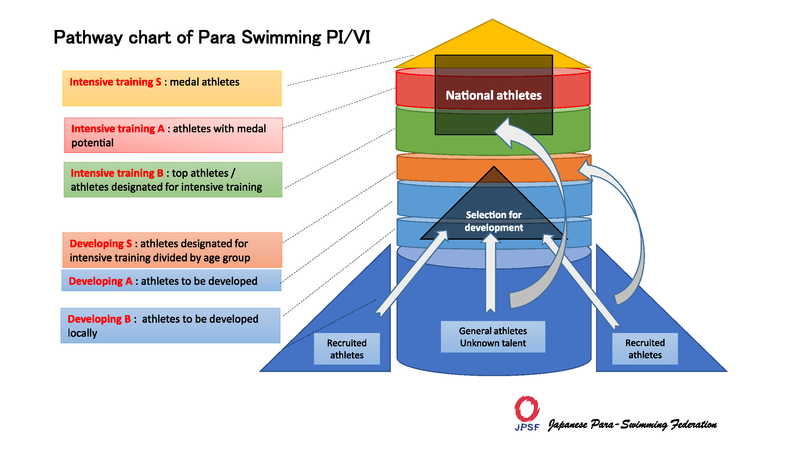 The countermeasures for the training of Para athletes in the same way as for the Olympic athletes started to be systemized first in 2016, but the situation is yet far immature. As of today, many Para athletes are forced to face problems of not being able to find their daily training location within their own residential area. We are striving to achieve the ideal structure involving the local community. In order not to let Tokyo 2020 Paralympics end up just as another big event, we will continue our efforts to realize 4 Paralympic values, to leave the true legacy, and to make a much better environment for the Para athletes.